80 (8c, b4) 1.6 / 1.9td / 1.9 tdi / 2.0 / 2.6 / 2.8. 100 (4a, c4) 2.0 / 2.0 16v / 2.3 / 2.4d / 2.5 tdi / 2.6 / 2.8. Cabriolet (8g7, b4) 1.8 / 1.9 tdi / 2.0 / 2.3 / 2.6 / 2.8. Coupe (89.8b) 2.0 / 2.0 16v / 2.3 / 2.6 / 2.8. Reference bosch 0265201050 (must imperatively be serious on your abs group for compatibility). Reference origin 4a0614111a - 4a0614111d. Once the auction is complete your payment will have to reach me within a maximum of 10 days. For France payment by check preferably. The sending of parcels is only on Thursday for any payment received on Wednesday morning at the latest. I am at your disposal for any additional question. Put your items on sale quickly and easily, and manage your ads in progress. The item "audi 80 100 coupé cabriolet group abs bosch 0265201050 4a0614111a 4a0614111d" is on sale since Wednesday, December 24, 2014. It is in the category "auto, motorcycle parts, accessories \ auto \ parts \ other". 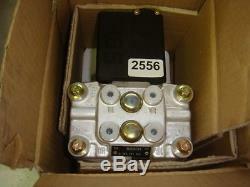 The seller is "ets_martins" and is located in / ile de france. This item can be shipped to the following countries: America, Europe, Asia.